Founded in 2012 by a group of compassionate friends whose whose children and personal lives have been touched by autism. Our Loving Children is governed by a prestigious Board of Directors and operates as a fully licensed 501(c)(3). Victoria has over 30 years of experience in education, leadership, and helping children and families. 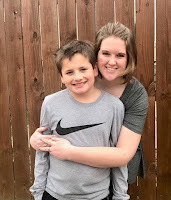 Victoria is the Student Services Director at Newman Catholic School, Instructor through the Archdiocese of Dubuque and Clarke University, BA: Elementary Education, MA: Instructional Leadership, BCBA, Wife and Mother of 4 children- Josiah age 11 with Autism. Amanda is a mother two beautiful sons on the autism spectrum and a full time advocate for those impacted by special needs. She has volunteered many hours providing support, along with working and organizing special needs events. 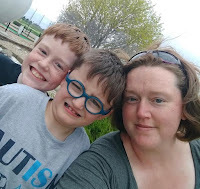 Amanda is the mother of two children- Daniels age 12 with autism and Sam age 7 with autism. Kathy has over 15 years of experience in education and helping children and families. 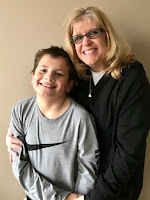 Kathy is a Third Grade Teacher at Newman Catholic School, BA: Elementary Education, Wife and Mother of 3 children- Taylor age 11 with Phelan McDermid Syndrome. Amy has 12 years experience helping others as a RN. Amy is currently an RN at Mercy Medical Center-North Iowa. Amy obtained her BSN from Mount Carmel College of Nursing, and is currently working towards her MSN as a Clinical Nurse Specialist at Winona State University. Amy enjoys assisting OLC in helping families impacted by special needs to ensure they have the resources and activities for these children to enjoy and grow with. 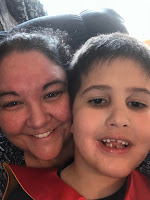 Amy is a wife and mother to 3 children- Sam age 6 with autism. Raeann is a research scientist with a master's degree in immunology that specializes in making life better for everyone. She has lived with a sibling on the autism spectrum and has volunteered many hours providing support, along with working and organizing special needs events. Raeann is an avid supporter and sister of her brother, Josiah, with autism.